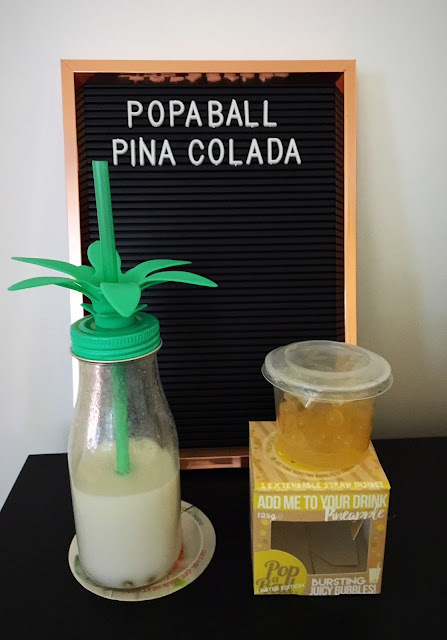 The Pineapple Popaball I was gifted, comes in a funky bright yellow 125g pack which includes lots of information on what they are and how to use them plus a recipe too! 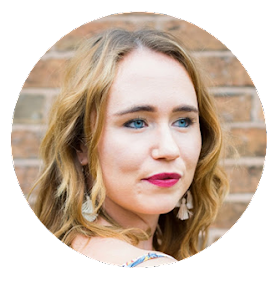 It also tells you that they are made from seaweed extract and pineapple juice which means they are suitable for vegans and coeliacs! 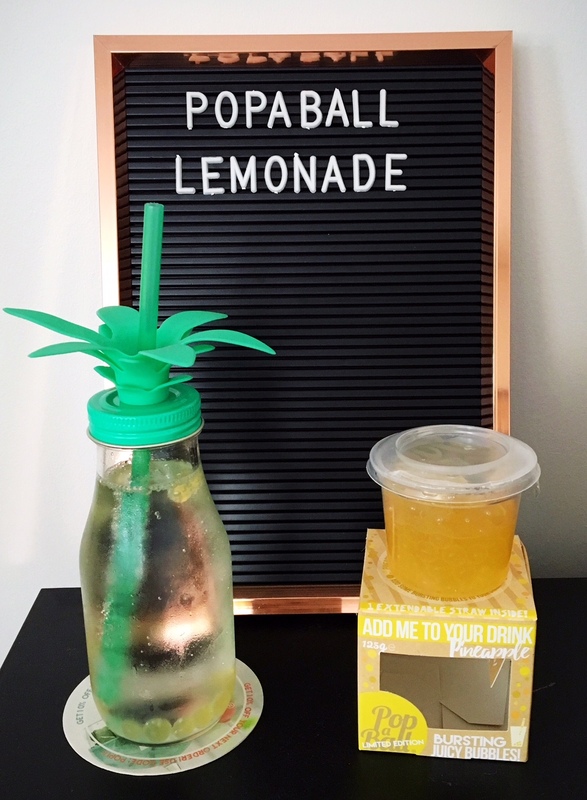 Once I added the popaballs to my various drink recipes (see below) I watched as they hit the bottom of my glass and without mixing I got my straw (included in the box) and sucked up the popaballs. Once bitten, they pop in your mouth with a pineapple flavour which tasted delicious! 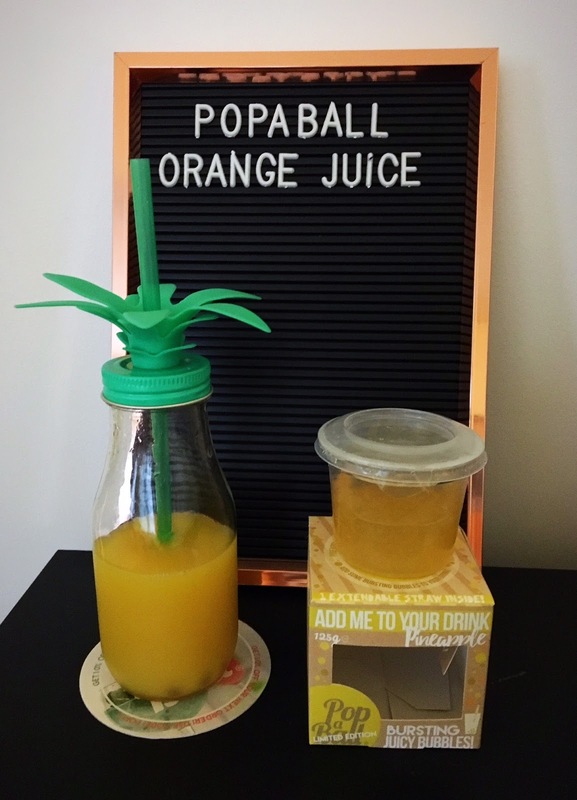 If you're not a fan of pineapple there are over 20 other popaball flavours you can try. 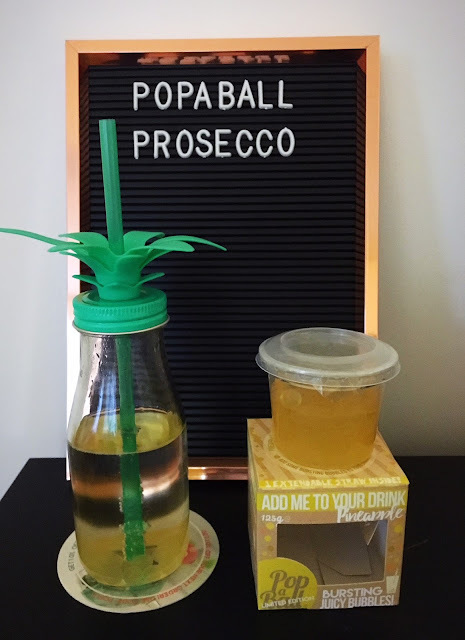 I would highly recommend the popaballs if you're looking to try something unique and the great thing is they can be enjoyed by anyone even if you don't drink alcohol. I think they would make the perfect stocking fillers for Christmas which isn't that long away! The Pineapple Popaball gave me the chance to create lots of drinks at home and you can pretty much add to any drink you like to experience an unexpected burst of pineapple flavour. For today's blog I decided to make my favourite cocktail Pina Colada then I also mixed the fruity balls with prosecco, orange juice and lemonade. What is your favourite pineapple drink? *This is a collaboration with Popaball.